We have created a one-page overview of ways to Connect with NWATE online. Please print for easy reference and share!! Interested in extending your learning at the 2013 NWATE Conference and connecting with educators both in attendance and online? Become a live blogger for the 2013 NWATE Conference! What is a Live Blogger? A live blogger is someone who writes essentially shares their learning from the conference online. Live bloggers create posts that are posted on the NWATE website and shared with NWATE followers through the website, Twitter and Facebook. What does a Live Blogger post about? A live blogger can post pictures, summarize key learnings, pose questions, share highlights, etc. Basically, anything that stands out for you at the conference that is worthy of sharing! Check out some live blogging that happened at a recent Alberta Initiative for School Improvement Conference to see examples. Why should I become a Live Blogger? Through live blogging, we can extend our collective learning beyond the conference to build our online professional community. Not only are we connecting with other educators (both at the conference or interacting online), we are modeling learning that ultimately we strive to engage in with our students! How do I become a Live Blogger? Send an email to nwate@shaw.ca, expressing your desire to dive into the world of live blogging for the 2013 Conference. You will be added to the NWATE site as a guest author and your posts will be featured on our site during the conference. You will also receive information about how to create a post using WordPress, if unfamiliar with the platform. What if someone leaves a nasty comment about a post I wrote? Live blogging is about connecting and sharing and interactions will remain professional. All comments made on posts are moderated and only those which respectfully and professionally add to the conversation will be posted. We encourage you to embrace the power of our online community and consider becoming a live blogger at our 2013 Conference!! Email nwate@shaw.ca if interested or to find out more! PROPOSAL DEADLINE EXTENDED TO APRIL 24TH. 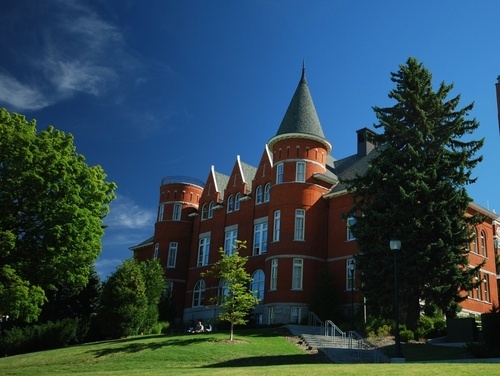 The Northwest Association of Teacher Educators is pleased to announce a multidisciplinary collaboration for our 2013 Annual Conference at Washington State University in Pullman, Washington. Please view the Conference Announcement below for more information about presenting at the conference.